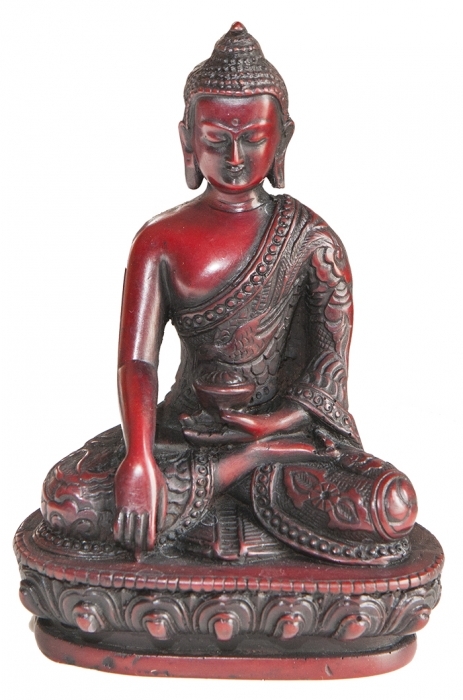 TIBET BUDDHA has an antique red patina to brighten and enlighten any space. 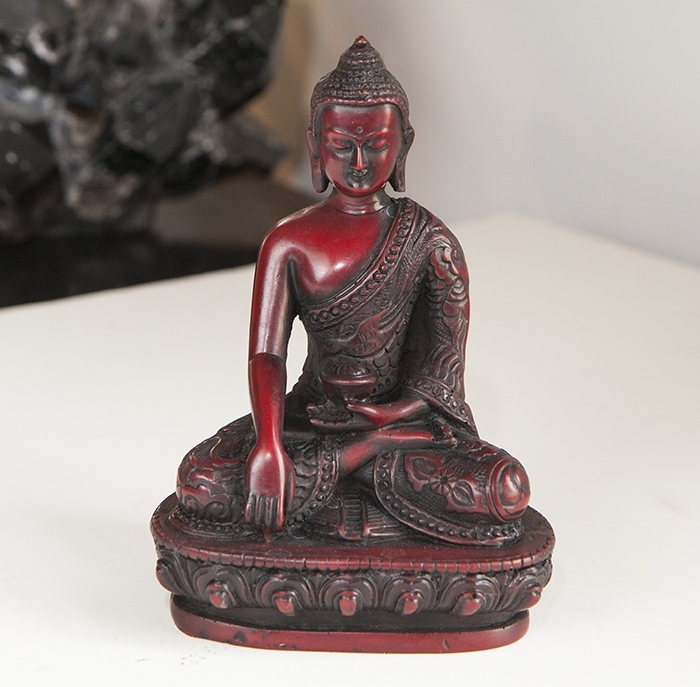 Made of resin from Tibet he comes from one of my favorite vendors named Karma. She has a wonderful eye for picking unique pieces in small quantities so when I discover pieces in her collection I grab them up. 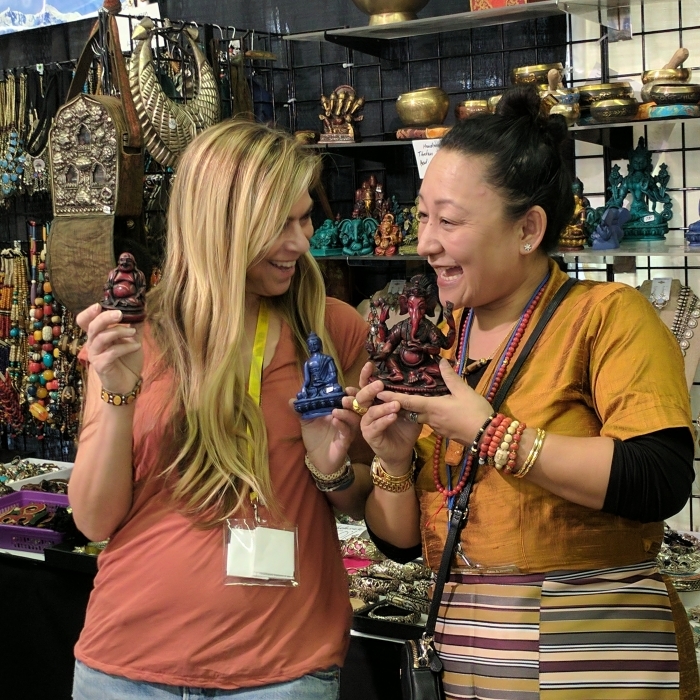 Sometimes you just need a little Buddha to lift your spirits and bring a smile to your face and this Tibet Buddha does just that. 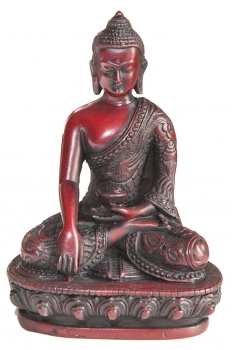 I love his facial expression and this is what I look for when I go Buddha shopping. 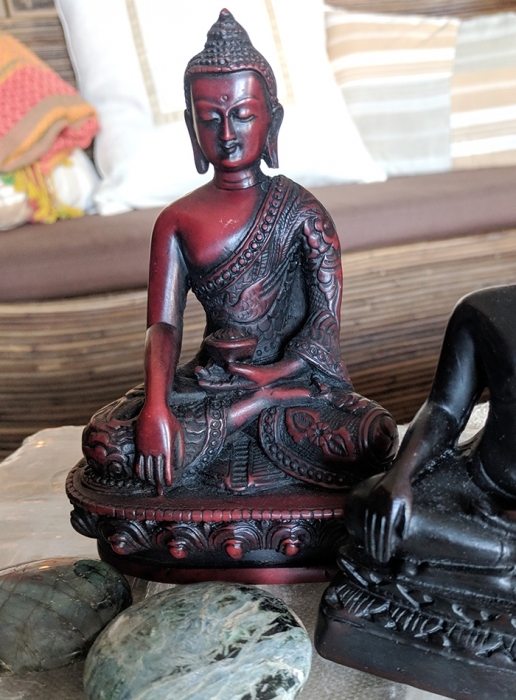 I suggest using him as the focal point of your shrine or altar and surround him with magical candles, crystals and incense. I only have this one.